Scott Petito, who grew up near Woodstock, NY and studied at the Berklee College of Music in Boston, is the award winning producer and owner of NRS Recording Studios / Scott Petito Productions, now located in Catskill, NY. As a producer, Scott’s recordings have earned him Grammy Nominations (Trio Brubeck), Top 40 AC singles (Livingston Taylor, Amy & Leslie) European Gold records (Rory Block, Mercury Rev) and frequent placement on radio charts. He has also composed and produced musical film scores for film and television. Scott has taught his successful “Song Demolition” workshops at various locations such as the Swannanoa Gathering in Asheville, North Carolina. As a brilliant bass player, his live and recorded performance credits include The Band, Keith Richards, Allen Ginsberg, Bela Fleck, James, Livingston and Kate Taylor, Mark Knopfler, Tony Levin, Jerry Marotta, Happy and Artie Traum, Jean Redpath, John Sebastian, The Dolphins, Dave Brubeck, Tom Paxton, Stevie Wonder, Tony Trischka, Michael Franks, Brian Setzer, David Torn and hundreds of others. Scott is also the bass player for the legendary 60’s punk, political, beat poet band, The Fugs. Scott recorded “The Fugs Final CD [part 1]” for Artemis Records at his studio and there has been talk of recording [part 2] in the near future. Scott and Leslie, have been working together on various projects since 1984. Their first recording, “In The Silence”, has received international airplay and rave reviews. The song “Forgiveness” from this CD can be heard in stores all across the United States as it has been a big hit on wired music. 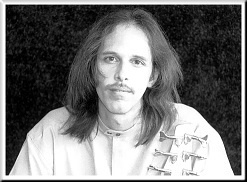 Scott is a multi-talented musician and arranger who plays bass, guitar, mandolin and keyboards. Scott’s sensitive guitar work is the perfect accompaniment to Leslie’s rich soaring vocals. Their second recording “Circles In Sand” received quite a bit of support at radio here in the US as well as overseas and international internet stations. The duo are currently at work on their third recording. Scott has also released a solo bass record called “Sbass Music”. This solo venture is Scott’s first foray into the world of ambient sound design. He uses the electric bass guitar to conjure up otherworldly sounds and harmonies that leave listeners in awe. He will be putting together a multi-media sound experience in order to bring this soothing music to live audiences.